In my mid-20s, I was searching for something meaningful. A solitary pursuit. Something I could turn to when all the rest of my life was going to crap. Something that would give my life purpose. Turns out I found what I was looking for in a gift shop. It was a key chain, a narrow pewter rectangle with the word "passion" stamped into it in italic letters. 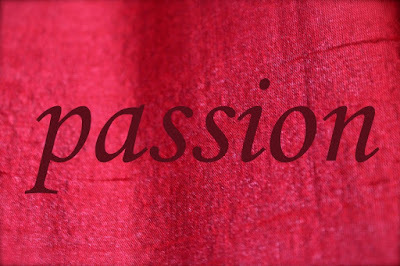 And it hit me—I needed more passion in my life! So I bought the key chain, thinking that if I saw the word every day, it would remind me to have things to be passionate about in my life. I've always been a person of shifting passions. At one point, it bothered me that I would be passionate about acting, for example. Then I would just drop it like a hot potato, with nary a wistful thought. Sewing was one of those things. Singing. Stained glass. Jewelry making. One by one, these hobbies and passions would march through my life in a never-ending conga line. I was concerned about my ability to just "fall out of love" so quickly. But then I realized that, while one part of me loves predictability and routine, another part of me needs to keep things fresh, even within routine. So I finally gave myself permission to pursue whatever the heck I felt like for as long as it humored me, without guilt. But my mid-20s were marked by many things that demanded my attention. My father's murder and all the drama associated with that was big. But there were also job changes, living alone for the first time, navigating the life of a young professional, trying to build a career, keeping to a budget, socializing with friends—lots of challenges and distractions. So I wasn't doing much of anything to feed my passions. That's why the key chain was so important. 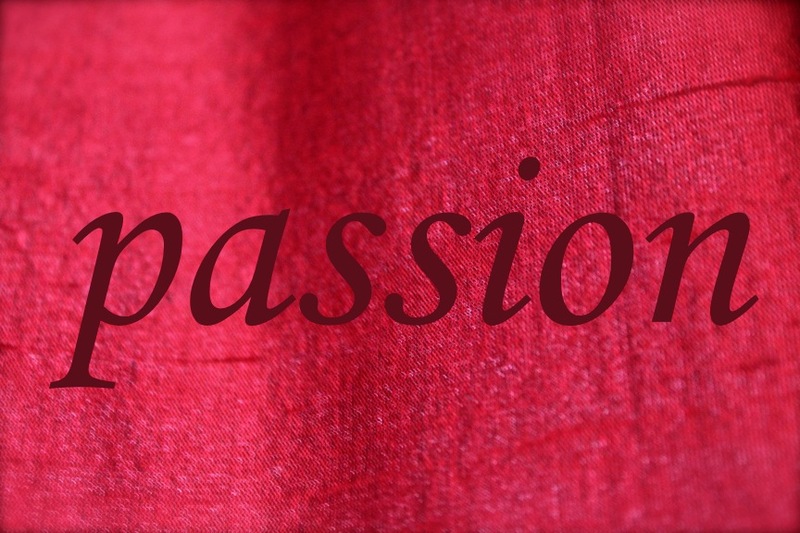 In fact, passion quickly became my favorite word. In some ways, it might have even saved my life. It seems a lot of people think we have only one passion to find and pursue in our lifetimes. They think that about soul mates, too. The truth is you have a lot of each. And one may be your one and only for a protracted amount of time or you may just opt for a variety pack. 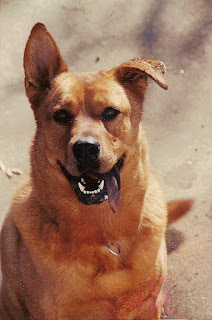 Over the years I've had countless passions, but only two have lasted my entire life thus far—writing and dogs. The exceptional Passion the Dog. When I was finally in a position to own a dog of my own, I named her Passion. People thought it was a weird name, but she liked it and grew into it. Whether it was guarding her mommy or napping, whatever she did, she committed to it 100%. She, too, was a constant reminder for me. What it all comes down to is that the key chain came along at a time when the challenges of life made me forget what makes me feel alive. I'm pretty much a homebody and I like it that way. And as a homebody that also works at home...haha...you'll go crazy without something exciting to look forward to. While I'm a writer for a living and while writing is one of my passions, as a professional I have to work on a sort of "catch and release" basis. I give birth to my writing and then I have to let it go, knowing others will put their paws all over it and who knows what will become of it. You can't have your career be your only passion, because something will inevitably compromise it. I can't just write what I want for work. I have to match a certain tone and set of criteria. No matter what you do, if it's monetized, there is a client you're working to please. So I need something else—a creative outlet that is just for me, one nobody else has input into. Over the years, the stamping on the letters on the key chain faded as it wore slowly with age. But each time I would see it, it would make me think about what I was doing to keep passion going. I can't remember when I saw it last. Life got away from me again and my focus shifted to my health and just getting through the days for a few years. Somewhere along the line, I lost both my key chain fob and my passion. Because I carry around something more akin to a 40-lb key community than a key chain, it could have been missing a couple of months or a couple of years. :D Losing the key chain after 25+ years, however, did the same thing as finding it did half a lifetime ago—it reminded me that I had stopped paying attention to that part of my life and I needed something for myself again...something nobody else gets an opinion on or a say in. If it hasn't happened already, somebody somewhere is going to find my passion key fob. It's pewter, so it's not decomposing anytime soon, though one day the letters will be impossible to read. But for now, it's out there somewhere, looking to shine its magic on someone else. Only the truly passionless could find something like that and not have the word turn over and over in their mind. I just hope it serves them as well as it has served me.